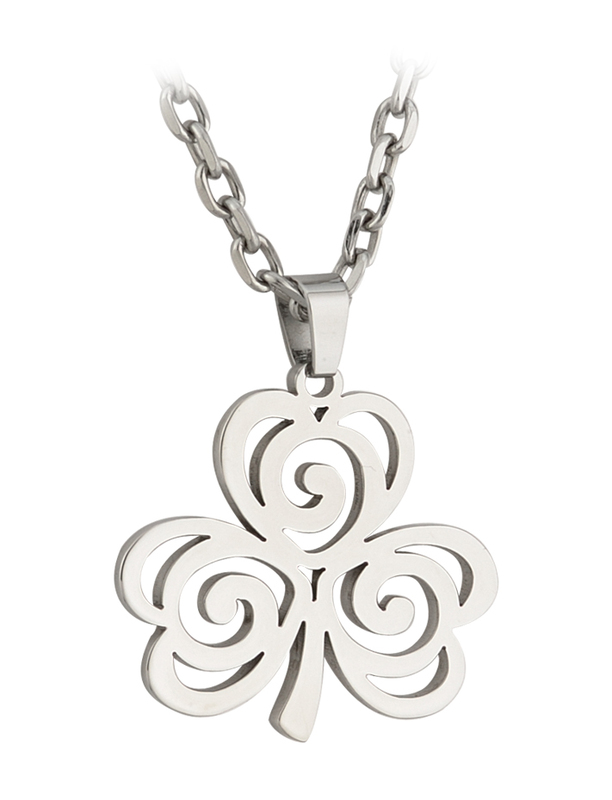 The iconic Shamrock Irish Necklace crafted in stainless steel with each leaf designed with an open Celtic pattern. Measures 1.53 x 1.37 inches approx. 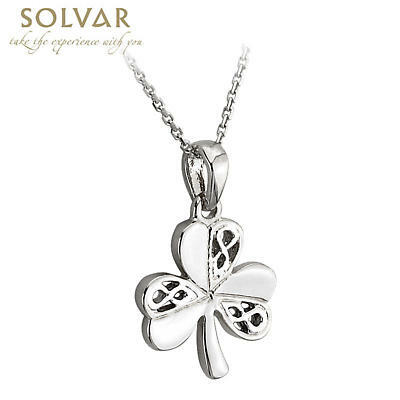 Comes in padded display with 18" chain.